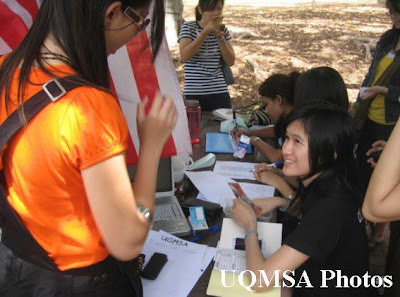 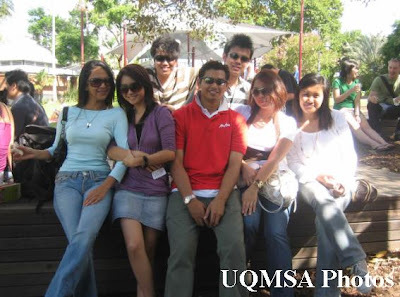 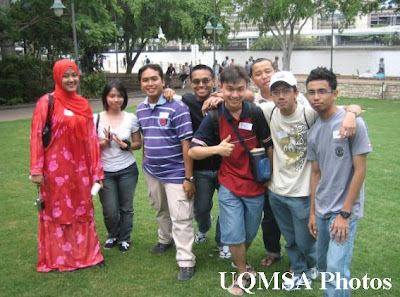 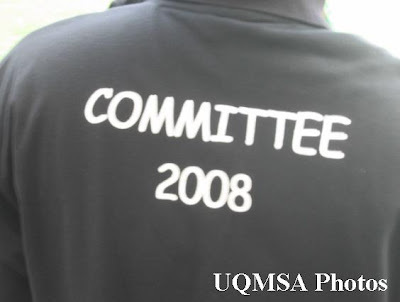 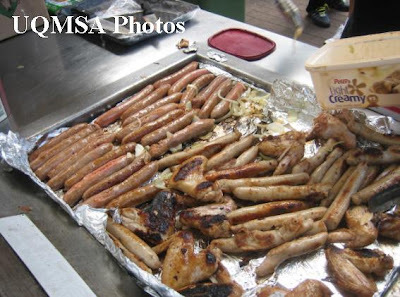 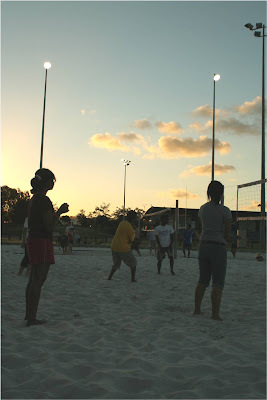 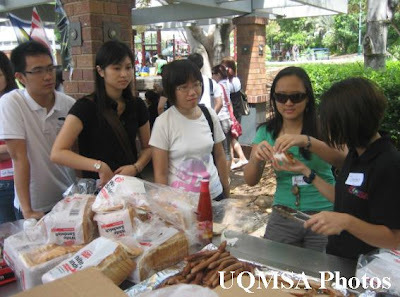 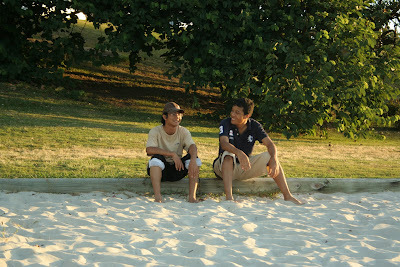 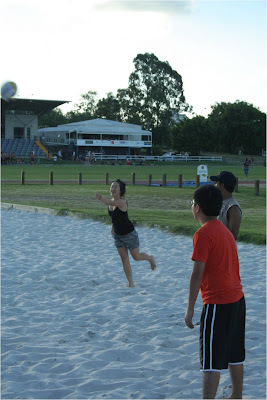 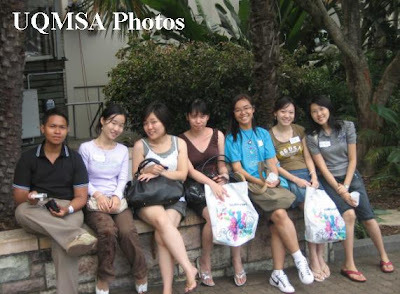 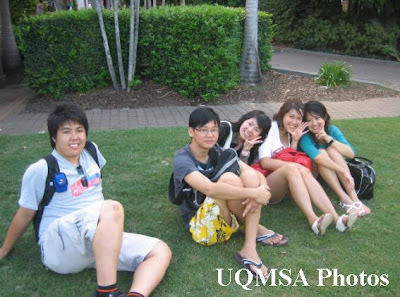 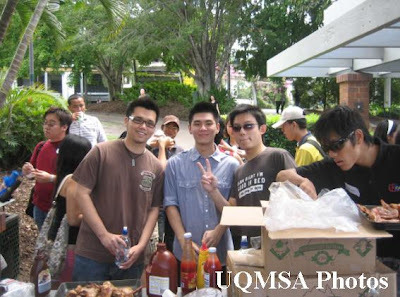 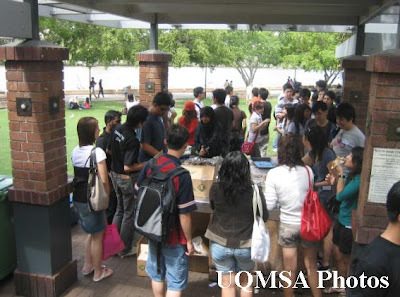 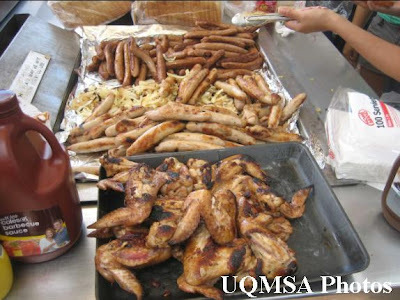 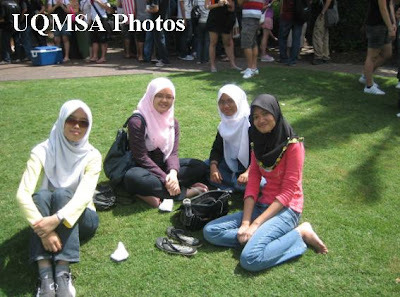 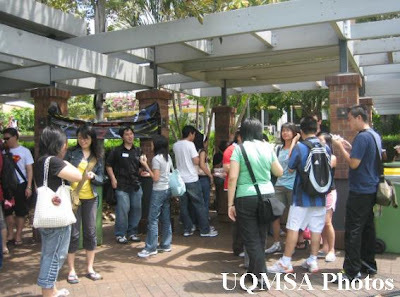 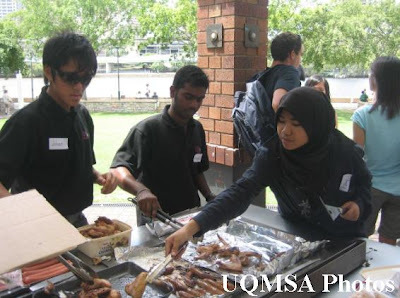 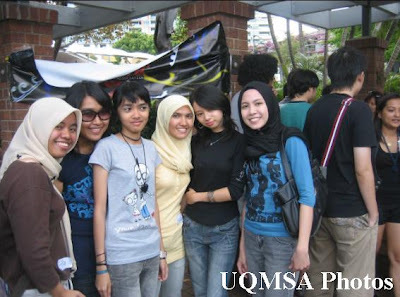 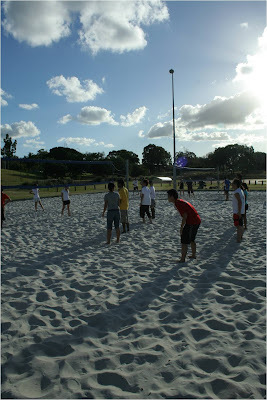 UQMSA organised a great game of beach volleyball on Saturday, 15th March 2008. 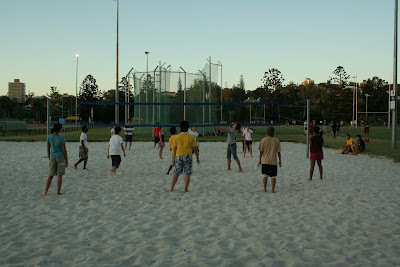 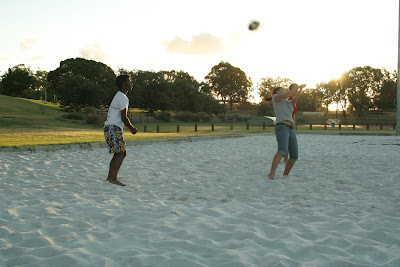 A lot of our members showed up, slapped a ball around and some even got to eat sand. 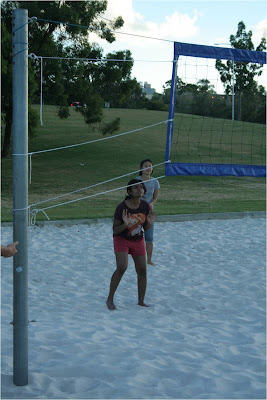 It was a great show of sporting spirit where newcomers had a go at playing beach volleyball wholeheartedly and people who had experience gave tips and encouraged the newbies and their team members. 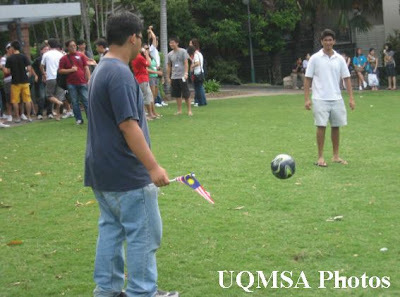 Playing soccer while holding Malaysian flag... how patriotic that is! 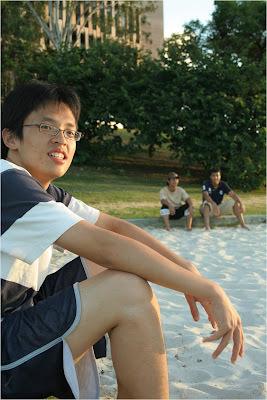 Hoho... that person is Mr President Linggesh-LAH. 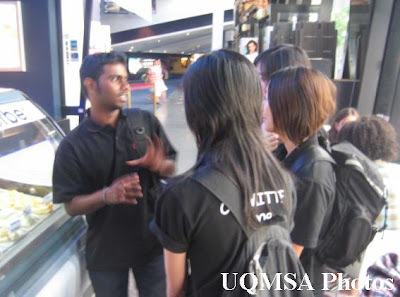 As you can see, he's explaining ICE-CREAM to the girls... and certainly the girls listened to him intently. 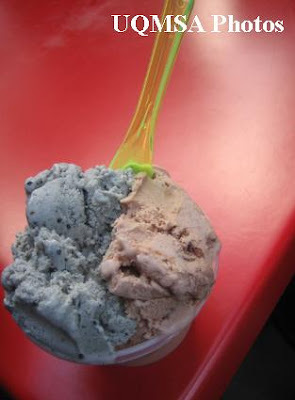 Anyway, here's my YUMMY ice-cream! 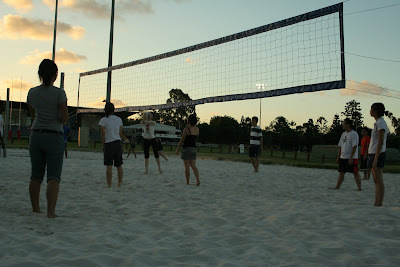 And that's all for now. 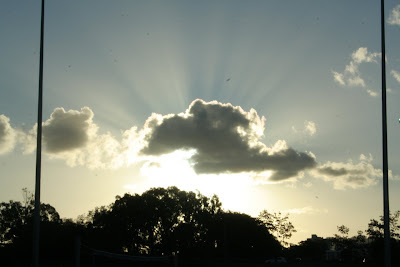 Adios.